Chinese people born in the 1980s or 1990s have a large emotional commitment to their pets, the China Youth Daily reported. A White Paper on the Chinese Pet Industry in 2018, released by the Dog Network, an online social media platform, showed that in 2018, spending on pets reached 170.8 billion yuan (US$25.4 billion), an increase of 27 percent on 2017. 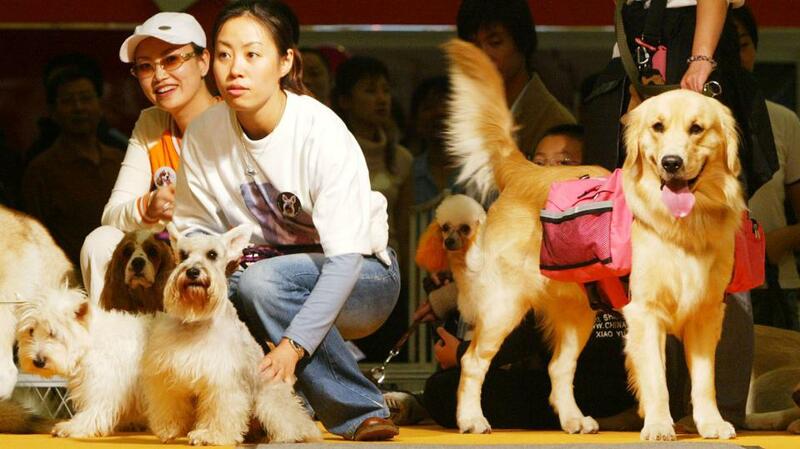 It predicted that by 2020, spending on pets and pet products will reach 200 billion yuan (US$29.8 billion). In 2018, there were 73.55 million pet owners in cities, with those born in the 80s or 90s making up 75 percent of the total. A report issued by Sinolink Securities said that millennials use pets to bridge emotional gaps and they are willing to spend money on the things they like, which includes spending on their pets. The pet industry has developed a range of products, such as special furniture, toys or clothes, and these are not cheap. For instance, a high-end food bowl for cats can reach 500 yuan (US$74.4). Investors are bullish about the pet industry. The white paper said there were 30 rounds of financing in 2018, with total financing estimated to exceed one billion yuan (US$148.9 million), of which more than half was related to pet services. However, the pet industry also has some shortcomings. In particular, professional service personnel or veterinarians are still in short supply, and there is a lack of legislation around the industry to support the rights of pets and their owners.